One of my favourite things in life, up there with a great Shiraz, listening to my favourite music on my (old and battered) i-Pod mini and smashing shots past the keeper from twenty-plus yards, is finding books I’ve wanted to read for ages in second-hand shops. When I find one by E.M. Forster for just $1.50 Australian, I’m even happier. Mr. Forster is fast shooting up my most-read-author-of-the-year list, having already supplied two of my favourite novels of 2009 (‘Howard’s End’ and ‘A Passage to India’), and, after finishing this short and sweet example of understated Edwardian fiction, I am very tempted to go after some more of his books before the end of the year. The story is divided into two parts: the first (shorter) section is set in Florence and follows young Englishwoman Lucy Honeychurch on her leisurely holiday in Italy, introducing us (and her) to a cast of people at a boarding house, several of whom are to play further roles in the tale. After a couple of chance encounters with one of them, the young George Emerson, Lucy, under the protection of her spinster cousin Charlotte, races off to Rome – at which point the first part ends. If the above summary sounds a little bit Mills & Boon-ish, well, it does run that way at times. I haven’t seen the film, but I had heard of it, and even if I hadn’t seen her young face plastered across the cover of my battered copy of the book, I still might have had Helena Bonham-Carter’s elfin face flashing through my mind on reading certain sections of the book. All the sources I’ve skimmed through agree that this is the lightest, happiest and most accessible of Forster’s novels, and there is a distinct hint of chick-lit about it if you skim the surface. However, books rarely survive past their centenary without having something a little more substantial to offer than a happy ending, and ‘A Room with a View’ is a lot more complex than it may appear. Lucy’s awakening is part of a wider reflection on the role women should play at the start of the twentieth century. Today, it seems absurd that she requires a chaperon to travel abroad and that she acquiesces to some of the restrictive demands of the people around her, but this was the reality for women in the Victorian era, and it is only with the change of monarch and a shift in mentality (as well as the wars just around the corner…) that the first baby steps towards equality were taken. Lucy’s eventual rejection of the oppressive, possessive Cecil, who regards her more as a piece of art in his collection than as a real-life, breathing, living human, parallels this wider societal development. Society at the time of this story was changing in more ways than just the emancipation, if you like, of women; another change, represented in this novel by the Emersons, is the blurring of the lines between the formerly strictly segregated classes. Whereas, in Victorian times, the upwardly mobile were often portrayed as ungentlemanly and unworthy of the attention they sought from the more genteel, Forster reverses the roles, portraying the Emersons as quirky but ‘nice’ while Cecil Vyse, Reverend Beebe and, even, Lucy’s mother are ridiculed for their inability to adapt to rapidly changing times. This distinction between ‘static’ and ‘progressive’ characters is an important feature in other Forster works, especially notable in the contrast in ‘Howard’s End’ between the stick-in-the-mud Wilcoxes and the bohemian Schlegels (one of whom was played, in a Merchant-Ivory film – of course – by none other than… well, I’ll let you guess…). >Lucy's eventual rejection of the oppressive, possessive Cecil, who regards her more as a piece of art in his collection than as a real-life, breathing, living human, parallels this wider societal development.You nailed it! I really like this book, though it's due for a reread it's been so long since I last read it. I've never read Passage to India, and it's been so long since I read Howard's End I'm not sure I could give a decent plot outline. I may have to do an E.M. Forster marathon one of these days.I think the film is a v. good adaptation of the book. V. true to the tone and plot and characterization. Excellent review! I 'discovered' Forster a few years ago when my daughter chose this for her high school AP Lit class (primarily because it was short), and ended up loving it. Of course I had to read it, too, and then went on to Howard's End and A Passage to India in quick succession. Howard's End is my favorite so far, but I plan on reading more… And there's nothing like a good shiraz! I have so far only read A Passage to India (twice) and A Room With a View and loved them both. I haven't read Howards End yet but do have a copy of Howards End is On the Landing by Susan Hill pre-ordered, if that counts?! I also have a copy of Maurice somewhere, which is apparently his most autobiographical. I read this book when I was 18 or so and it made me fall in love with literature older than 10 years. I should re-read it. Thanks for all the comments! As mentioned in my review of 'Howard's End', I feel that Forster is an author who can be slightly overlooked at times (probably because of the likes of Joyce, Woolf and Lawrence, who were writing around the same time). His work, and this novel in particular, serves as an example of literature which can be both deep and meaningful and fun to read. Three down, three to go! I think Forster is amazing. If you thought Room With A View was a great break from heavier things you should check out Where Angels Fear to Tread. 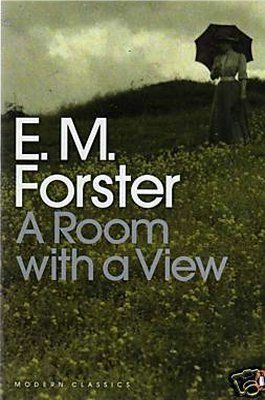 It was Forster's first novel, and while it may not be as "important" as Howards End and A Room With a View but it is fantastic.And the Merchant-Ivory version of RWAV is outstanding. I have probably seen it about 25 times. Could not be better. The recent remake was terrible don't even think about that one.